Summer is winding down for a lot of kids. But there are still plenty of fun things to do in August with your children as you make the transition from carefree summer days to daily carpools. Pick one or more of the activities on this list to celebrate the final days before the school bell rings. It seems like yesterday the kids were throwing their backpacks into the closet and showing you their final report cards for the year. But here we are again already. It's time to get ready for another school year. From free school supplies to sales tax holidays, there are plenty of ways to save money on back to school shopping. As you physically get ready to send your kids back to school, also prepare them to go back to school. Easing that back to school anxiety will make the first day and even the entire school year go much smoother. Make a list of things that make you smile. Make a fun Emoji-themed craft. Have a smile-off. See who can smile the longest. To make it harder, see who can smile the longest without laughing! Hold a non-smiling competition. Everyone sits and stares at each other without smiling. Whoever smiles is out. The last person not smiling wins. Have apple or orange "smiles" (slices) for a snack. Have a "Biggest Smile Contest." Your kids don't have to be famous artists for them to be honored this month. Paint with your kids to celebrate the artiste in your house. Get creative with outdoor painting, paint with marbles and make your own finger paint. Really feeling inspired? Paint your child's bedroom together. Bring out the kidpreneur in your child. Let National Home Business Month be their inspiration for starting their own business venture. 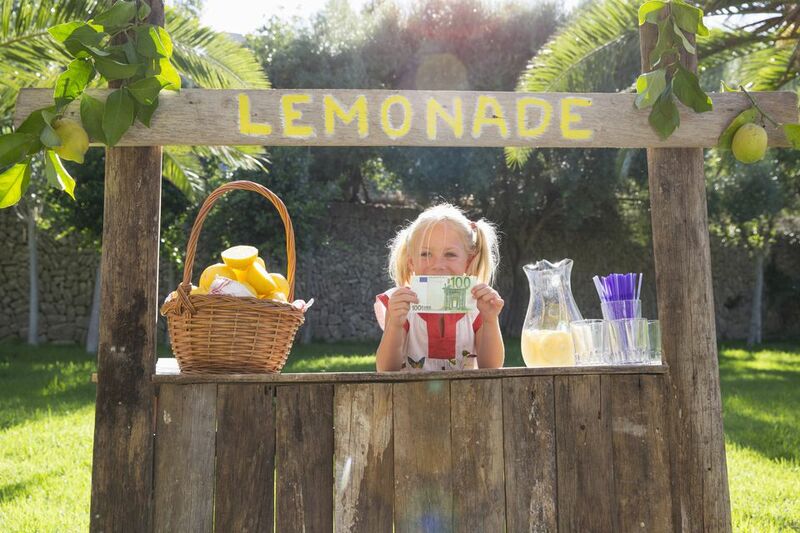 From lemonade stands to dog walking, there are plenty of business ideas for kids that they can start today. Got a mini-Internet junkie on your hands? Put their interests to good use and help them create a website with these online business ideas for kids. How exactly do you celebrate National Catfish Month? Go fishing with your kids! You don't need a boat or a tackle box. Just grab a rod or make your own, get a bobber, hook, bait, your children and find some water. There are so many fishing kits for kids to choose from (compare prices). There's even a Barbie version! Bogey. Birdie. Par. Slice. You don't have to know all of the golf terms to have fun golfing with your kids. Take them to the green and teach them how to play. Or keep it simple and go play miniature golf. You've probably seen children on daytime and late-night talk shows proudly showing off their inventions. Use this month to encourage your child to brainstorm for an invention. Most ideas don't come from planned thinking but it can be a fun exercise that gets your kids to look at their surroundings in a "how can I make this better" way like these kids did. Still stumped? Channel their inner mad scientist with fun science experiments for kids. The next time you water your children's garden or play in the rain, mention National Water Quality Month. The purpose is to raise people's awareness of protecting ground water supplies. To translate that into a kid-friendly message, talk to your children about how to go green and take the steps to do something nice for the earth today.